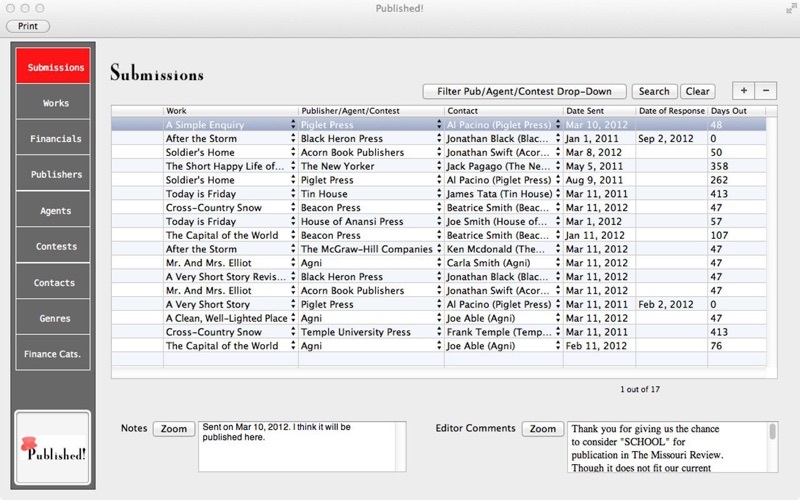 Published App for Mac is a powerful submission tracking software for authors, poets, artists, researchers, song writers, fiction writers, non-fiction writers, writers of memoirs, biography, crime, suspense, mystery, short stories, thrillers, romance, erotica, horror, westerns, science, fantasy, Young Adult…wordsmiths of any kind. Published! 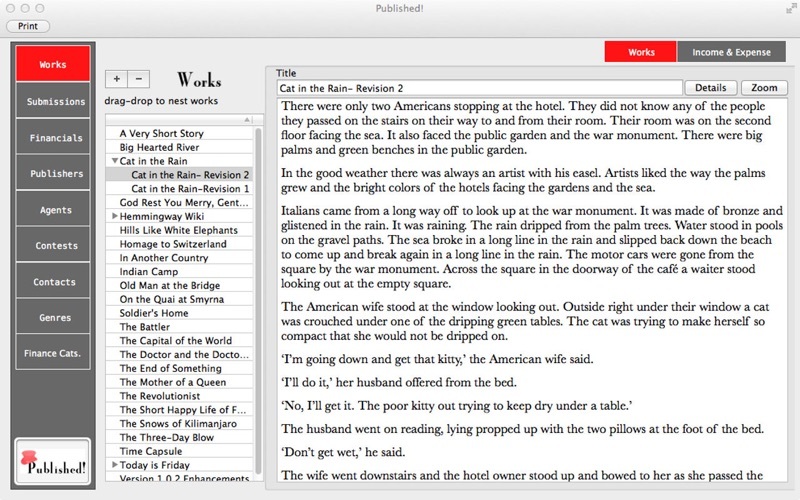 includes a full text editor for creating your works. The text editor includes standard document operations like search, spell-check, formatting etc. 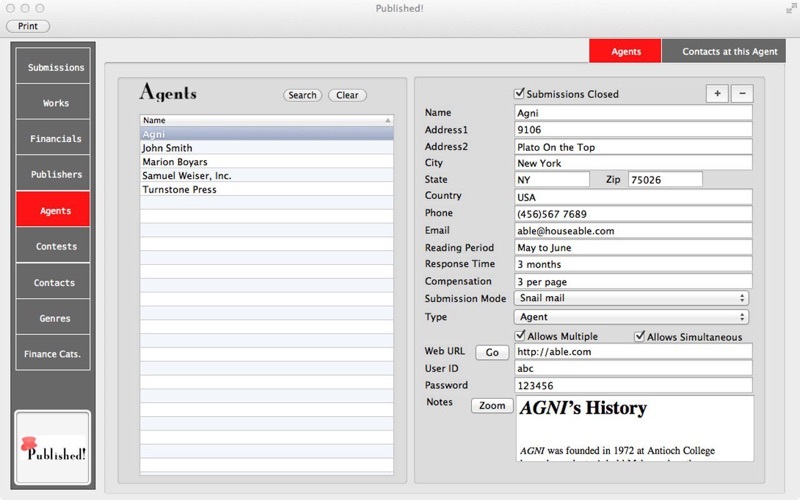 It has a powerful database for recording your agents, publishers, contests and markets. With its powerful query features you find the exact markets that meet your search criteria. 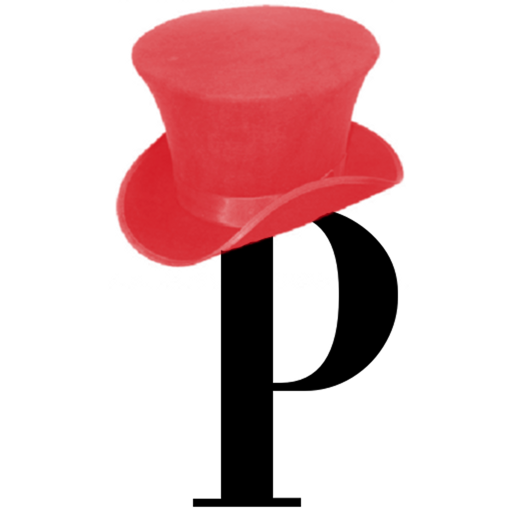 Which publishers allow multiple submissions? simultaneous submissions? snail-mail? email? What contest dates are approaching? Use it to track multiple revisions to your work– both as an independent piece of work, and as a revision of an earlier work. With its powerful accounting module, accurately track revenues and royalties arising from submissions. Record expenses pertaining to works. 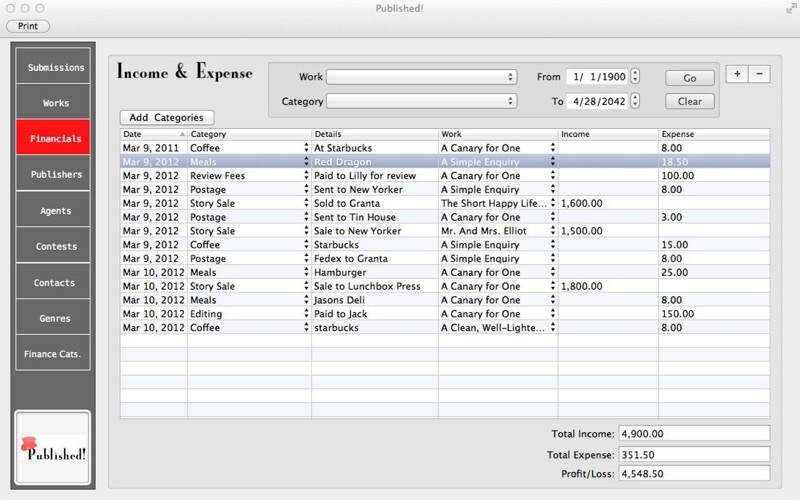 Track income and expense arising from each work and all works as a whole. Its powerful reporting system keeps you organized. 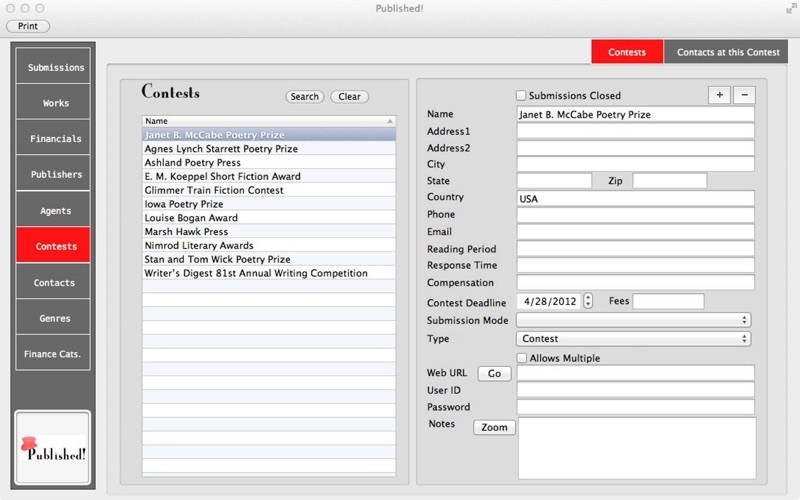 Each section of the interface (Publishers, Contacts, Submissions, Works, Genres, Financial Categories) can be searched by a number of criteria and printed as paper reports.